١ The MV Akademik Shokalskiy is seen stranded in ice in Antarctica, Dec. 29, 2013. 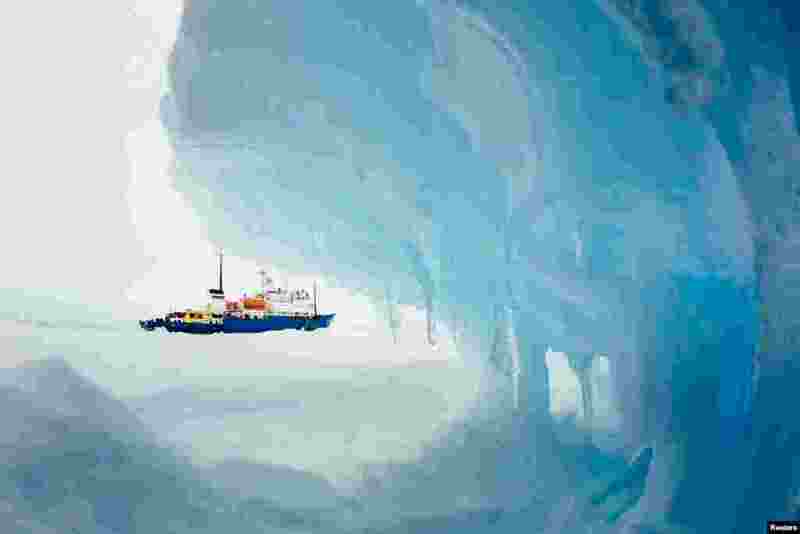 An Antarctic blizzard has halted an Australian icebreaker's bid to reach a Russian ship trapped for a week with 74 people onboard, rescuers said. ٢ Supporters of the ruling Bangladesh Awami League beat a lawmaker and supporter of the main opposition Bangladesh Nationalist Party (BNP) during a protest by opposition activists in Dhaka, Bangladesh, Dec. 29, 2013. Security forces and opposition activists clashed in the capital, leaving at least one person dead, as thousands of police took to the streets to foil a mass rally calling on Prime Minister Sheikh Hasina to cancel upcoming elections. 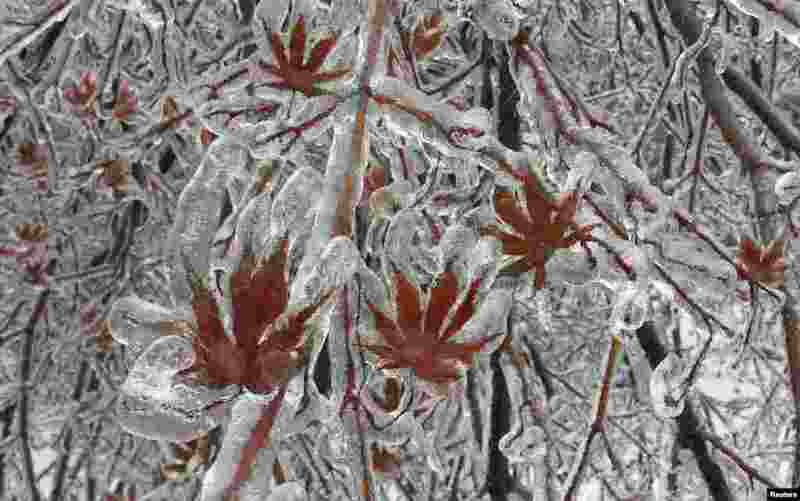 ٣ A layer of ice coats the leaves of a Japanese maple tree after an ice storm in Toronto, Canada, Dec. 22, 2013. 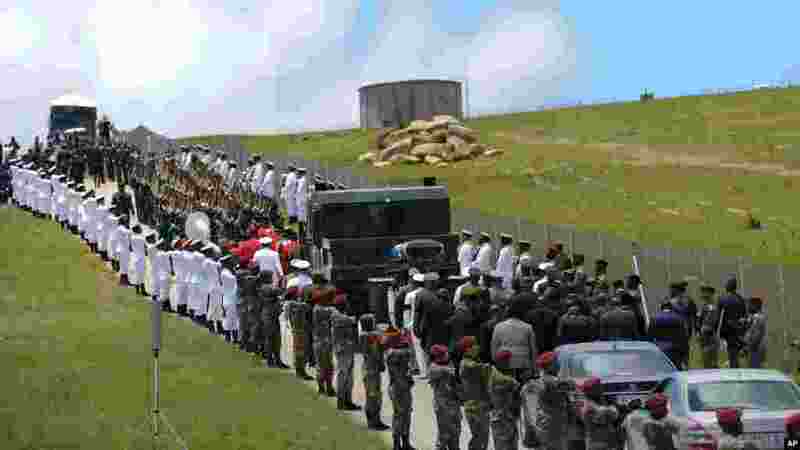 ٤ Military personnel line the route as former South African President Nelson Mandela's casket is taken to its burial place in Qunu, South Africa, Dec. 15, 2013.